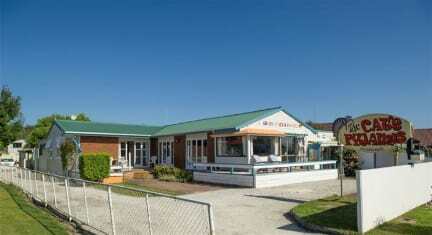 Our hostel is located in the towncentre of Whitianga on the Coromandel Peninsula, North Island of New Zealand. From here it's only a 2 minutes walk to the beach, shops, cafes, bars restaurants, tourist information and the bus stop - if you travel by Intercity Bus you'll even be dropped off and picked up in front of the door. The Cat’s Pyjamas is close to Whitianga wharf and the ferry boat terminal (passengers only) for connections to Hot Water Beach, Hahei, Cooks Beach and Cathedral Cove. By vehicle it'll only take you a short 30 minute ride to visit the famous Hot Water Beach and Cathedral Cove. 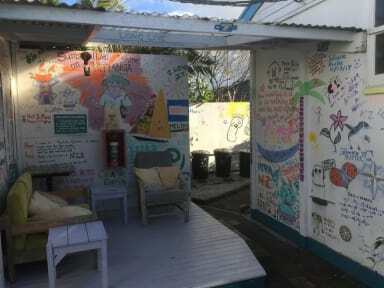 We offer a warm and friendly atmosphere for you to feel welcome and meet backpackers from around the globe. You can choose from different types of rooms, which include double with en suite, standard doubles and mixed or women only bunk rooms all suitable for adventure-seeking individuals, couples and small groups. We have a fully equipped, communal kitchen with FREE tea and coffee, a spacious lounge area and a sunny courtyard for guests to relax. Reception hours are 8am to 8pm, when we will be happy to give recommendations for local activities, etc. Late check-ins can be arranged only with prior notice otherwise a late check-in fee may apply or the inability to check-in at all without refund of deposit.